In June 2018, Senegal will play host to the No.1 Annual B2B Upstream Oil & Gas event, which will bring together the senior decision makers from across the prolific West Africa region. Since the discovery by Tullow Oil in 2007 of the Jubilee Field in Ghana, the Upstream sector has refocused it’s efforts to explore similar plays around the entire West and North West African coast. These efforts were reward with Cairn Energy’s prolific discovery in 2014 followed by Kosmos’ in 2015 the West Africa region has the industry’s spotlight firmly focused on further unlocking the potential of this largely underexplored region. 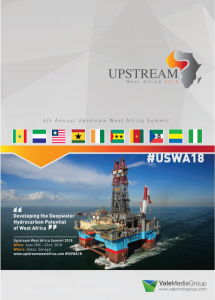 All Oil and Gas companies will be looking toward further unlocking the deepwater hydrocarbon potential of West Africa: PETROSEN, BP, Kosmos Energy, Cairn Energy, FAR, Total E&P, Premier Oil, Shell, Tullow Oil and many more. Ministries, National Oil Companies (NOCs), International Oil Companies (IOCs), Regulatory Bodies. Ministers, Presidents, Managing Directors, Regional Vice Presidents, Country Managers, General Managers, Executive Directors, Vice President of Exploration, Exploration Managers, Geology & Geophysics, Production Managers, Well Intervention, HSE Managers, Drilling Managers, Procurement & Supply Chain Professionals, Block Chairman’s, Asset Managers.